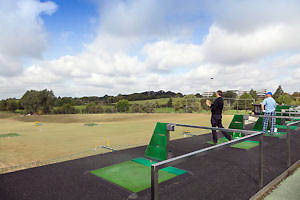 • "The 33 bay floodlit driving range at Broome Manor Golf Complex is one of the best ranges in Wiltshire and any search for golf ranges or golf lessons should start here !! " last balls sold 30 minutes before these closing times. 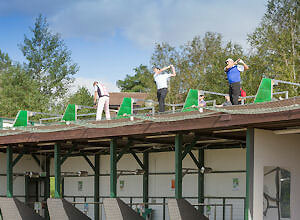 operates from the floodlit golf range at Broome Manor and is the best way to learn golf in Swindon. Individual, Junior and Adult group golf lessons are always available. We aim to help improve your golf but at the same time make the golf lessons experience Fun - which is the best way to learn golf Swindon offers many golf learning facilities but few as good as Swindon Premier Golf Academy. On the green or fairway and even from the rough you will improve your driving, short and long iron play, short game and putting rapidly! With Swindon Premier Golf Academy we have a dedicated team, with a wealth of experience in each specialised teaching discipline including junior golf, driving, iron play and short game including putting practice. SWINDON PREMIER GOLF ACADEMY based out of the Golf Range, the putting green and short game practice area, provide a truly personal service with professional, friendly and knowledgeable accredited PGA golf instructors. All our staff in the pro shop receive continual training on a monthly basis, helping to further their golfing knowledge. Broome Manor Golf Complex has one of the best floodlit driving ranges in the area, with 26 covered, floodlit bays and 7 open air bays. 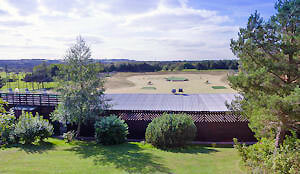 The driving range caters for both left and right handed golfers and for specialist coaching sessions. High quality mats and balls will make your practise session a more enjoyable experience. A variety of targets are provided to ensure you get the most from your session. No pre-booking is necessary, just turn up at any time during opening hours. Club hire is available if needed and juniors are also welcome to the driving range (children aged 12 and under must be accompanied by an adult). Two state of the art ball dispensers provide clean and washed balls every time. Buckets of balls (24, 72 or 120) can be purchased from reception where you will be given a barcode to use on the latest touch-screen technology dispensers or simply use your Loyalty Card directly in the dispenser where you will be able to view your account with a personal greeting each visit. Loyalty Cards are free and can be obtained from reception and when topped up with a minimum of £20, will give you a 10% discount on normal priced range balls. 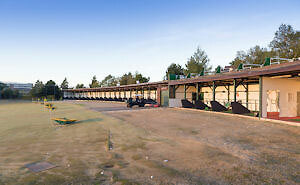 • The Golf Range is open to everyone and no membership is neccessary. 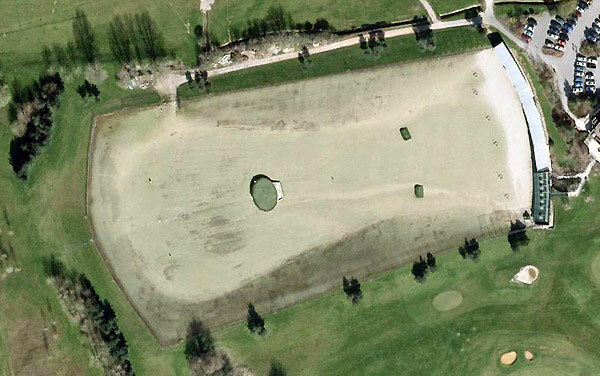 Just turn up and hit some balls. It is not neccessary to book or call ahead; there is always plenty of spaces. • Club Hire is available for those who dont have any Clubs and dont worry if you have never played before just come along and give it a go. You may discover you are rather good at it. • The Range is open until 6pm on Weekends and until 10pm Mon-Fri with last balls sold 30 minutes before these closing times. • We do ask that for safety reasons you read and respect the rules of the Range which are published on site and that Children are accompanied at all times by their parents. • Lessons Booking Line 07919 375461 - and by the way you won't find a golf range for kids in Swindon as close to the Town Centre of Swindon as this one so less driving for the parents !